Joëlle Castro, Managing Director and representative for the AGS Group, took part in a France-Indonesia business trip, organised jointly by Ubifrance Paris and Jakarta, and supported by the Franco-Indonesian Chamber of Commerce. 50 companies took part, including MOBILITAS-AGS. Joëlle was invited to share her thoughts on international trade and knowledge of specific markets with French and international decision-makers. Accompanied by Steve Chambers, the new manager of AGS Movers Indonesia in Jakarta, she had the opportunity to visit many French and foreign companies to introduce the group. All of these meetings were meticulously organised locally by the Ubifrance team in Jakarta. 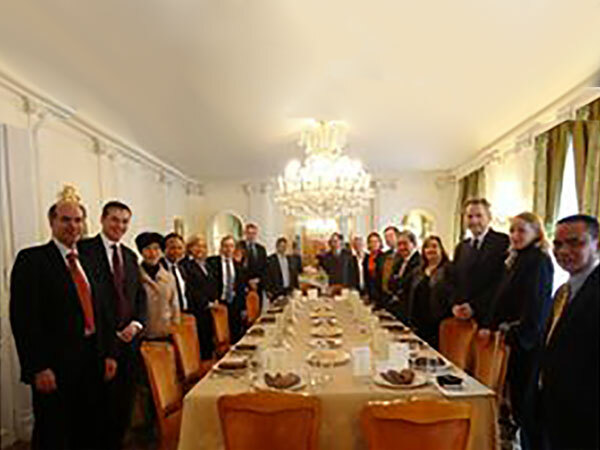 Upon her return to Paris, Joëlle was one of 10 carefully selected businesspeople invited to dinner at the residence of his Excellency the Ambassador of Indonesia in Neuilly-sur-Seine, France. Through this dinner, Mr Rezlan Ishar Jenie aimed to develop trade relations between the two countries.